Deepika Padukone released the first look of Meghna Gulzar's directorial titled Chhapaak - based on the story of an acid attack survivor. The first look has blown away minds of her fans and Bollywood celebrities alike as she has manages to look unrecognisable in the lead role. 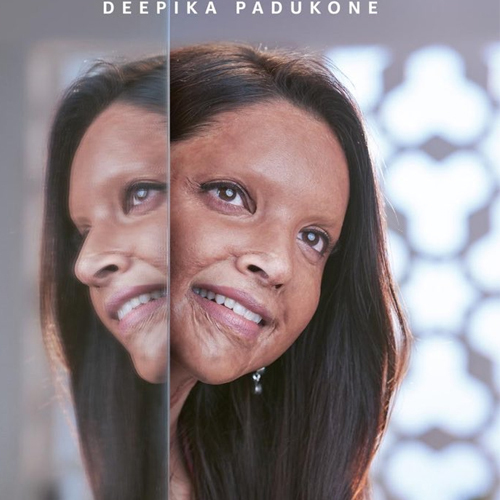 Meanwhile, in Chhapaak, Deepika will essay the role of acid attack survivor Malti and the story is based on the life of acid attack survivor named Laxmi Agarwal. It also stars Vikran Massey as the male lead. Bollywood stars such as Priyanka Chopra, Alia Bhatt and Vicky Kaushal have reacted enthusiastically to Deepika Padukone's first look picture from the upcoming film Chhapaak. Deepika plays a character named Malti, based on acid attack survivor Laxmi Agarwal. The actor had shared the picture on Monday, announcing the film's release date and the commencement of filming. She called Malti, 'a character that will stay with me forever'. The most empowering reaction, however, came from actor Kangana Ranaut's sister Rangoli Chandel. "No matter how unfair and unjust the world is we musn't reflect what we hate, this is commendable on @deepikapadukone and @meghnagulzar part, being an acid attack survivor I pledge to be their biggest cheerleader #Chhapaak," she wrote. Reacting to the image, several actors took to social media. Alia, who worked with Chhapaak director Meghna Gulzar on Raazi, replied to Deepika's tweet with applause emojis. Vicky Kaushal, who was rumoured to be in the running opposite Deepika in Padmaavat, wrote, "How amazing is this! Can't wait already. Best wishes to Team."